Part of starting school is packing a lunch. 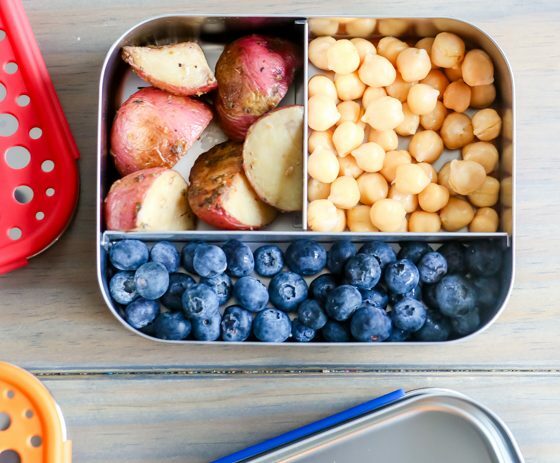 Packing a homemade lunch is often healthier than buying lunch at school. 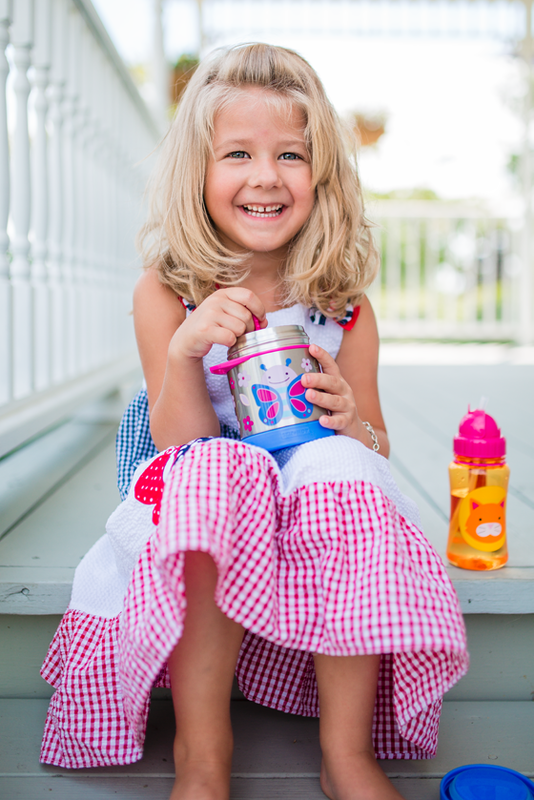 Having a cool new lunchbox, water bottle or food container makes packing a lunch fun. 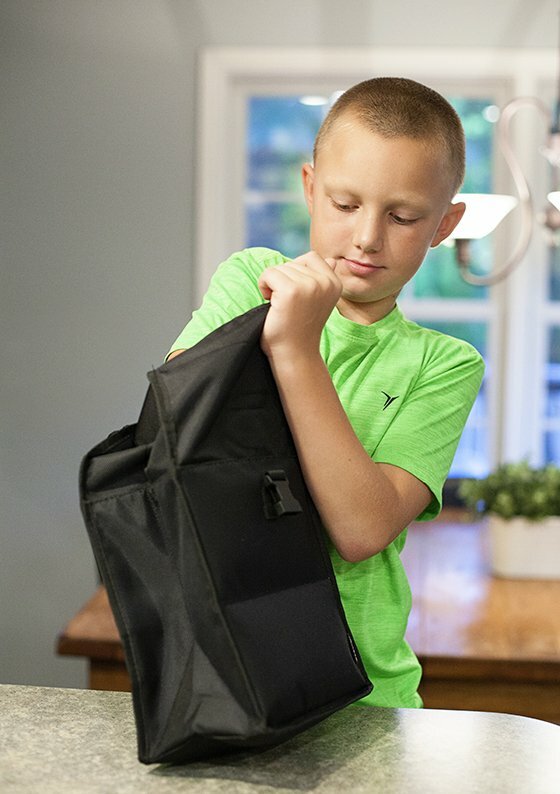 Think outside the brown paper bag and get some lunch gear that will protect your culinary creations, keep cold stuff cold and make it easy for your kids to enjoy their mid-day meal away from you. 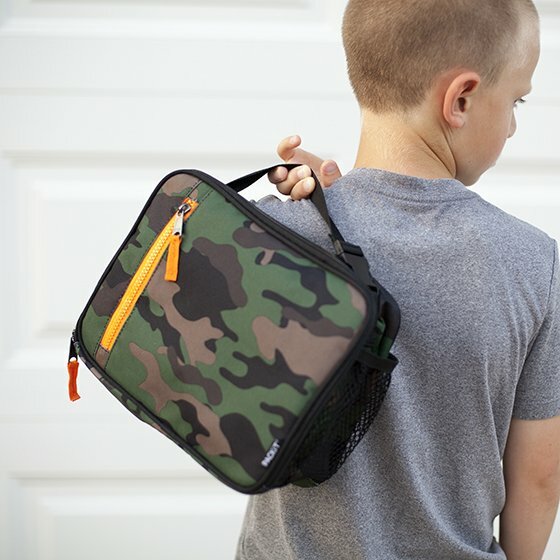 This is the best lunchbox gear you will find anywhere! 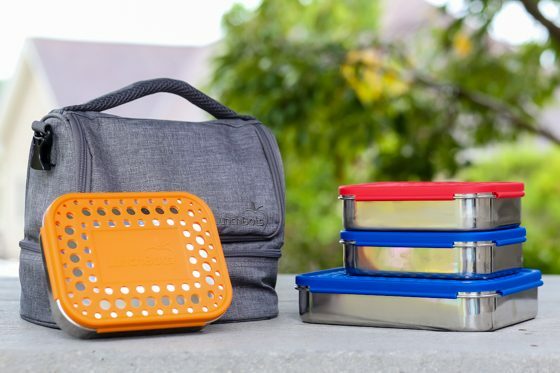 If you’re looking for a stylish way to send a healthy lunch to school that’s eco-friendly and practical, look no further than PlanetBox. 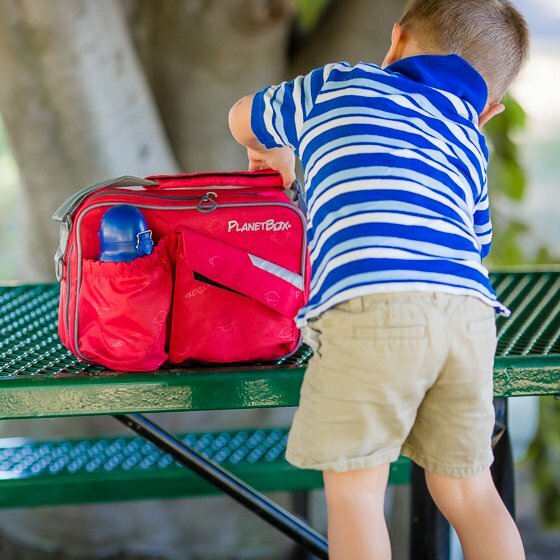 The Rover is the perfect lunchbox for smaller children who prefer a wide variety of food with a smaller serving size. It holds an impressive 4.5 cups worth of food, so it will grow right along with your child, year after year. It’s perfect for variety and versatility. It even has a space in the middle for a little treat, such as a handful of chocolate chips or a Justin’s PB Cup. 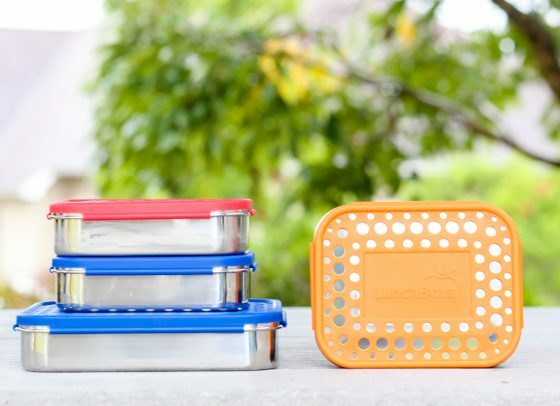 Our favorite thing about PlanetBox is the fact that they utilize resilient stainless steel for all their bento-style boxes, so they are eco-friendly, dishwasher safe, BPA free, certified non-toxic, and have a 5 year warranty! Trust us, these boxes will last for an extremely long time. And, in the future if your child wishes to change up the look of his box, you can simply purchase a new magnet set and/or a new outer bag, to give it a fresh, customized look. 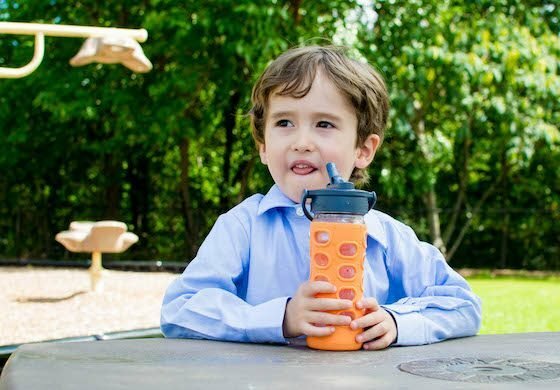 Add to the whole package with the BottleRocket Water Bottle, which has a soft plastic spout that isn’t noisy when he is sipping (his teacher will thank you!) and has a leak proof bottle and cap (his backpack and dry homework will thank you!). The Carry Bag comfortably holds their Rover box and water bottle and is made of durable fabric. The outside is 100% recycled polyester fiber. On the inside is polyester with TPU coating for convenient wipe down surface cleaning. 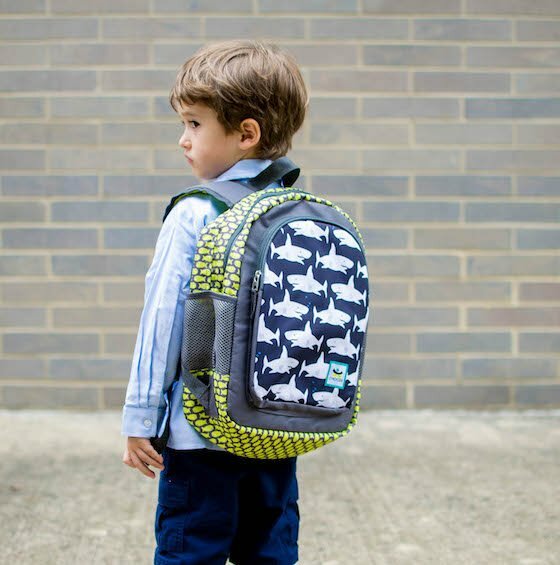 It also has an adjustable strap, so it can grow right along with your child throughout the years, or be worn as a cross-body. Made of high quality stainless steel – no gross metal taste! All parts can easily come apart to clean, with no straws or tiny parts to worry about sterilizing! PlanetBox was born when parents Caroline and Robert Miros combined their unique talents to create PlanetBox. Robert is an engineer who has designed consumer and medical products for the past 15 years. Caroline has worked extensively on children’s health education and environmental programs. They both share a passion for promoting the health of children and the planet. And they both pack their fair share of lunches! They craved something that was all-in-one, but had separate compartments to keep foods neat and fresh, as well as encourage healthy eating habits. 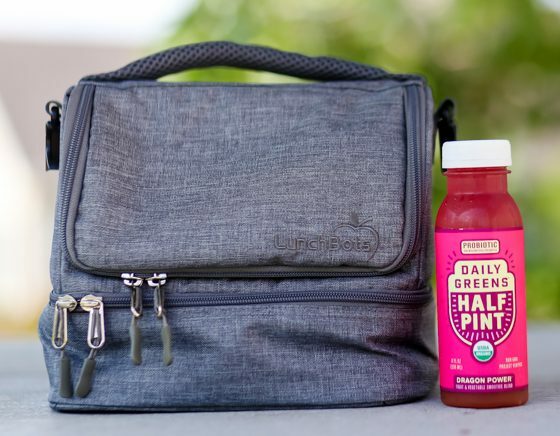 This school year be sure that you have all of the necessary lunchbox essentials with Hydro Flask. 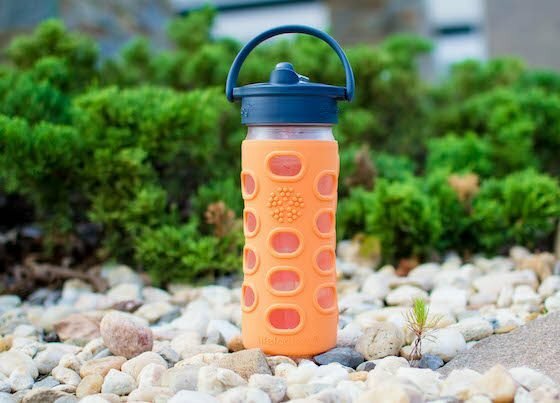 They have a wide selection of insulated water bottles as well as food storage containers to fit all different needs and age ranges. For younger children you can get them started with the 12 oz bottle. 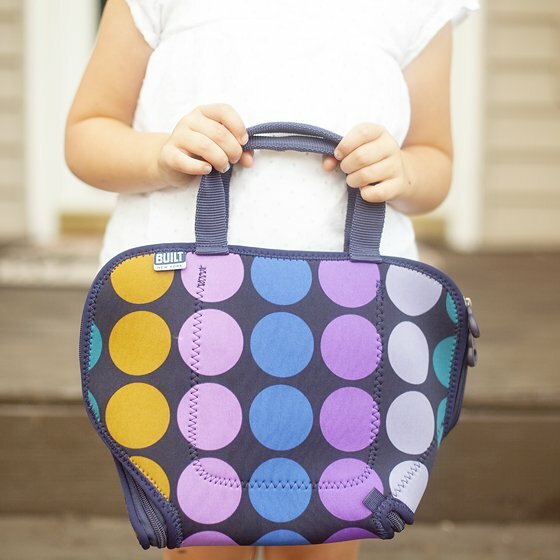 The small and convenient size is perfect for fitting in a young child’s lunch box. For older kids, especially those involved in sports, be sure to check out the 18 oz Wide Mouth or the 21 oz Standard bottles. They are great for throwing into a backpack or taking to sports practice. All of these bottles keep cold beverages cold for up to 24 hours and hot for up to 6. Looking for something to keep food hot through lunchtime? Or maybe the perfect container for traveling with a nice cup of oatmeal? Look no further! 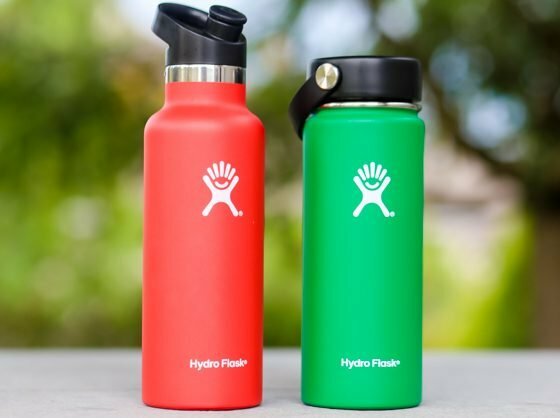 Hydro Flask has both a 12 and an 18 oz food flask. They are the perfect way to travel with a temperature controlled treat. And they even work for cold food. What a great way to send your kids to school with yogurt! 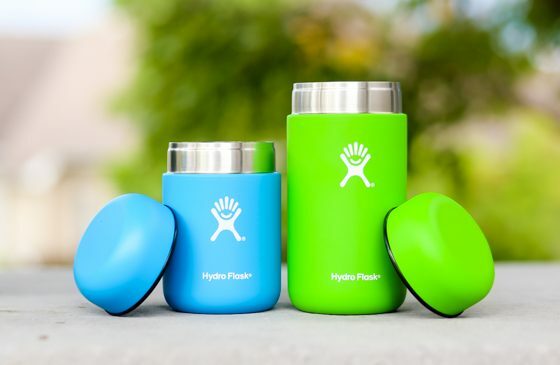 Hydro Flask launched in 2009 with the first all-insulated bottle unlike the market had seen. Though their beginnings were modest, they have since exploded with sales and hit $1 million dollars back in 2011. 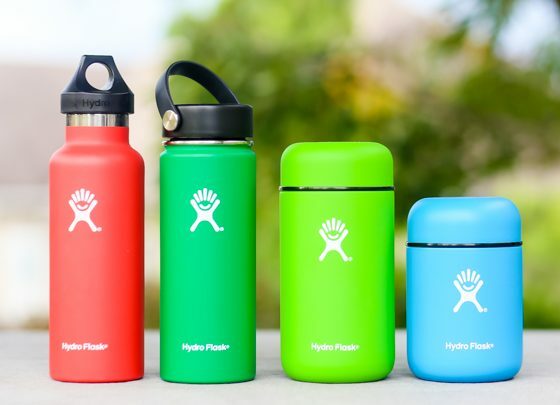 Now they not only make a wide selection of water bottles but they also launched what was the first-ever insulated growler. Though the company has become much larger (making the 500s fastest growing company list and Outside Magazines Best Places to Work list 2 years in a row) they still stay true to their humble beginnings. 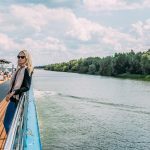 They are committed to bringing you unexpected refreshment, wherever your adventures may take you. Avoiding plastics may seem impossible when it comes time to pack lunch for your kids. You may think that plastic is the only safe and convenient option for school lunches, but you are wrong! Lifefactory has a line of glassware that makes packing a plastic-free lunch possible. You can pack your child’s lunch in glass with Lifefactory and it is actually safer and more convenient than plastic. 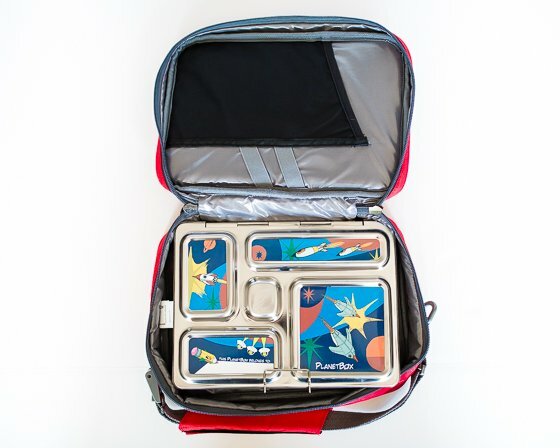 Food storage from Lifefactory gives you plastic-free options for healthy lunches. Avoid the toxins that we all know exist in plastic. 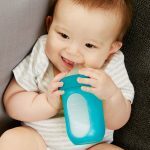 You don’t have to worry about your kids breaking the glass containers because these containers are covered in Lifefactory’s thick silicone skins that protect from accidental breakage. The lids seal tightly so you can pack confidently, knowing spills won’t be an issue. Available in 1 cup, 2 cup and 4 cup sizes, you can use Lifefactory for family leftovers and for everyone’s lunch box. The silicone sleeves are beautifully designed. 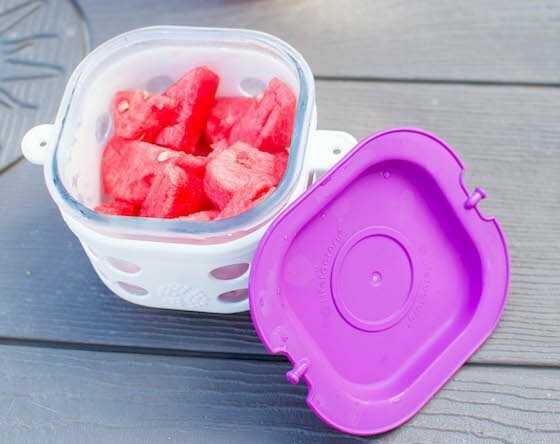 Your kids will actually feel pretty cool pulling these containers out at lunch time and you know they will make it home again because they will be loved! 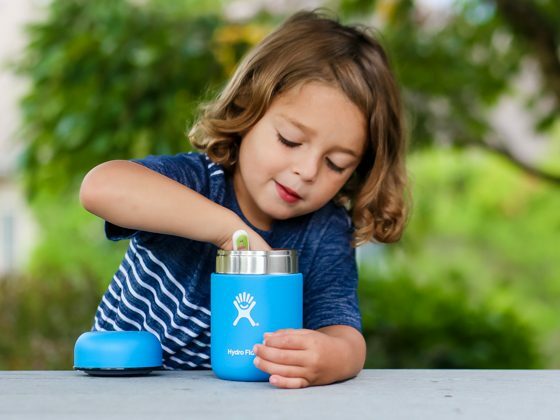 For your kid’s hydration, you can also skip the plastic with a glass bottle and silicone sleeve from Lifefactory. We love the straw cap for kids at school. 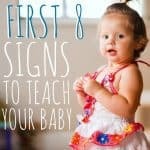 It is easy to open and close when your child needs some water. Kids will love the look of this brightly colored bottle. 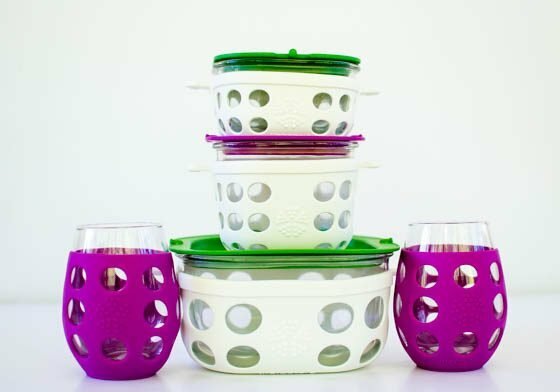 Moms, Lifefactory has something special to make back to school easier for you, wine glasses! 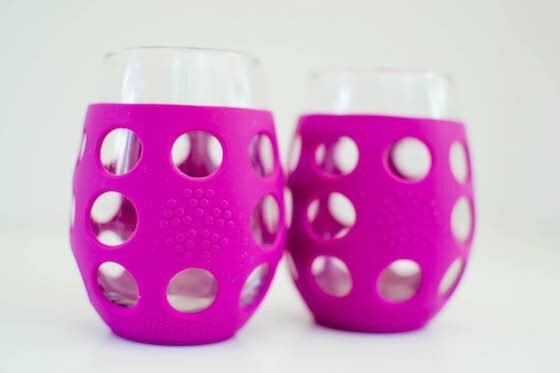 We are obsessed with these gorgeous wine glasses in their silicone sleeve. Go ahead and sip your chardonnay while chasing the kids around during homework time. Your glass won’t slip out of your hand with the brightly colored silicone sleeve. Moms need a glass (or two) of wine. They work hard when school is in session too, yet they get left off the back to school shopping list. Treat yourself to a back to school treat with a pair of wine glasses from Lifefactory. For the best in bottles, glasses and food storage, you need to know about Lifefactory. Lifefactory prides itself on offering products that are safe and healthy for everyone. 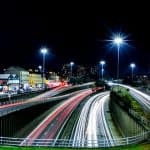 With care for the environment always a priority, everything Lifefactory creates is designed to be safe, simple and smart”. To keep stuff out of landfills, they design with re-use in mind. You can find something for everyone in your family from cradle to table”. You can get wine glasses for Mama and bottles for baby in safe and healthy glass and silicone from Lifefactory. Until you are sending kids off to school with packed lunches, you hardly realize how many “accessories” are involved in the process. Lunchbots offers a wide variety of stainless steel options. They care as much about healthy containers as they do about the healthy food that goes inside. 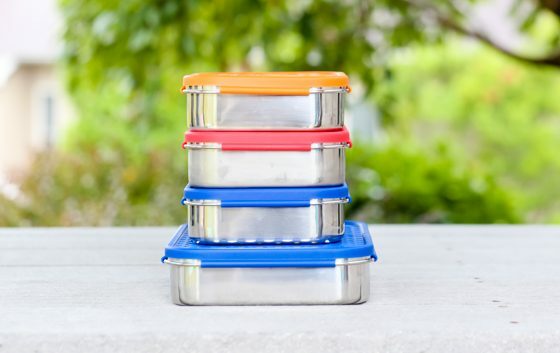 This year, instead of opting for traditional plastic containers, consider using stainless steel instead. Stainless steel contains no toxins, no BPA, and no phthalates. For this reason they wont ever interact with or impart any taste or smell into the food inside. Also, unlike plastic these are built to last a lifetime! So you won’t be replacing them year after year. There are plenty of Lunchbots options for this years school lunches. 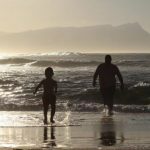 Depending on the size you need or the age of your child, there is truly something for everyone. 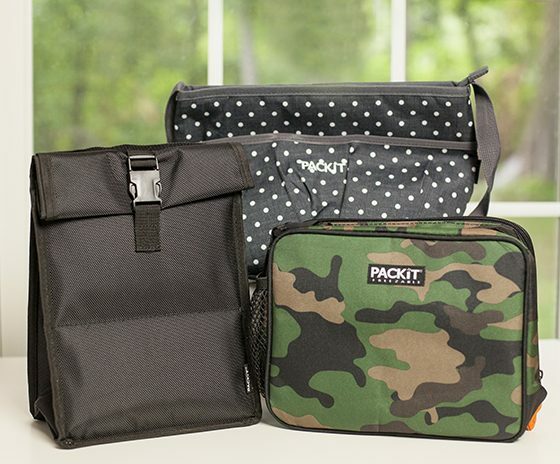 For packing a larger lunch you may want to consider using the Bento Trio with Dots or the Bento Duo. With either 2 or 3 sections for separating food they both have enough space for an adequately sized child lunch or even an adult lunch. If you are looking for no separation or trying to pack just one food consider the Uno Dots. To ensure that you have everything you need to start the school year, your best option is the Primary Colors Set, which contains one of uno, duo and trio, great for full sandwiches, sushi or even a leftover burrito! Don’t forget condiment containers for dipping sauces or even a small portion of your favorite treat. When you are done choosing your containers be sure to get a lunchbox to put them in! This lunchbox features two separate sections and fits the larger containers perfectly. It is insulated with a PVC free material. 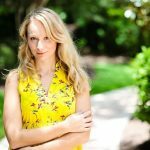 Jacqueline Linder is a mom who was concerned about plastics leaking into her food and the food she was feeding her kids. Knowing that stainless steel was a healthier alternative she searched high and low but couldn’t find high quality food containers. So, she designed them herself! From her garage in 2008, Lunchbots was born. Now they are still a family owned business from humbled beginnings who are dedicated to making healthier containers. That’s right parents, it’s lunch packing time again! 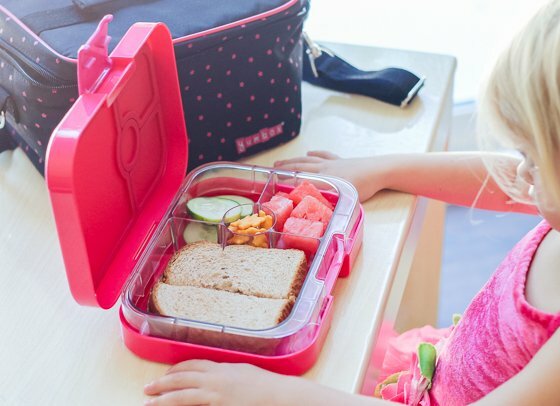 This year, make school mornings a little easier by flawlessly packing your kiddo’s lunches both practically and healthily. 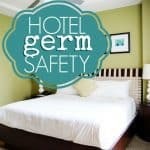 Give them the variety they crave while cutting down on the amount of containers you’re washing at the end of the night. 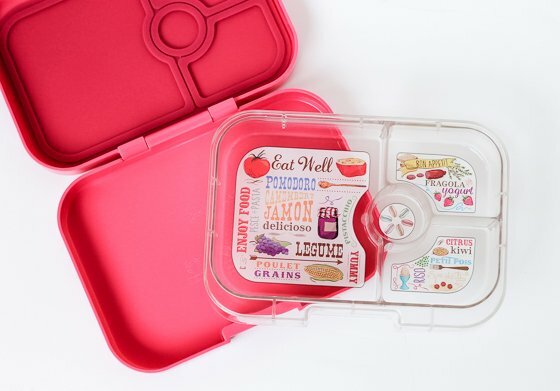 Yumbox’s line of bento lunchbox containers are perfect for kids, teens, and adults by providing a fun way to eat lunch that encourages healthy eating and portion control. Leakproof – Pack yogurt next to a sandwich with no soggy worries! 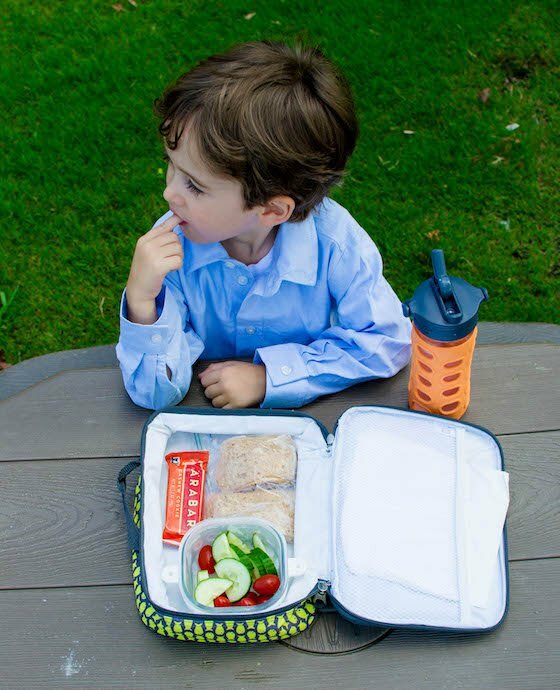 Created by two moms, Yumbox was inspired by the way French kids are served lunches: based on balance, variety, taste, and nutrition. 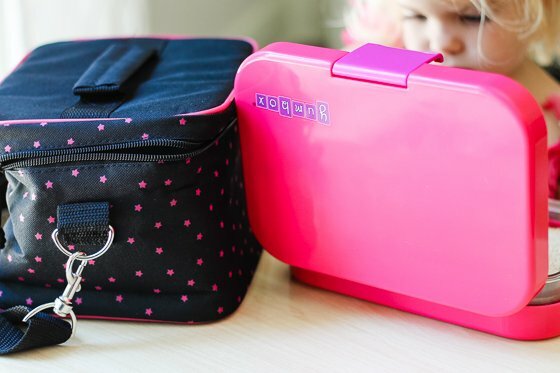 In order to make that eating emphasis on-the-go friendly, Maia and Daniela came up with the unique idea to combine a variety of features into a lunchbox that would not only be fun, colorful, and practical, but encourage kids and adults to make healthy eating choices while maintaining moderation and balance. 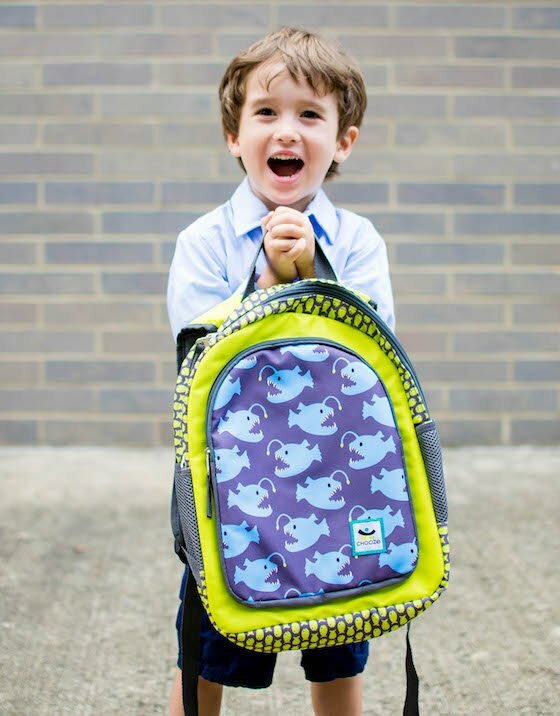 If you have a creative child who likes to change things up, Chooze packs are the only lunchbox and backpack you will need. These packs are as unique as your kiddo! 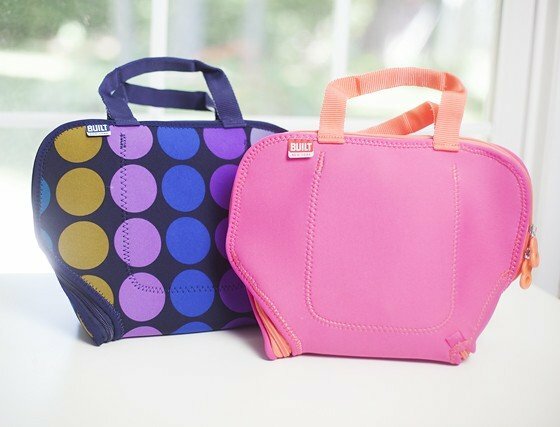 Available in 12 bright and colorful designs, packs from Chooze encourage individuality and creativity with their fun and functional, reversible design. Your kid can choose the design that fits his mood each day. 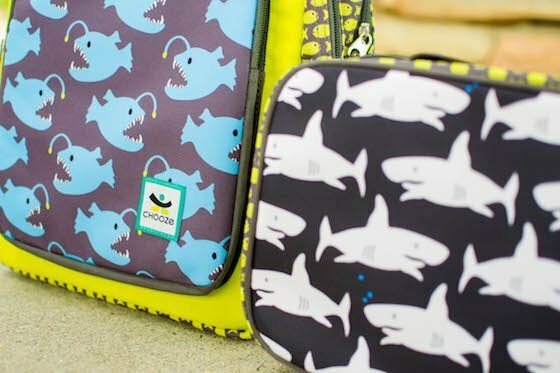 It is absolutely brilliant how Chooze packs flip around to allow your child to display one of two designs on his lunchbox and backpack. You don’t have to flip these bags inside out. 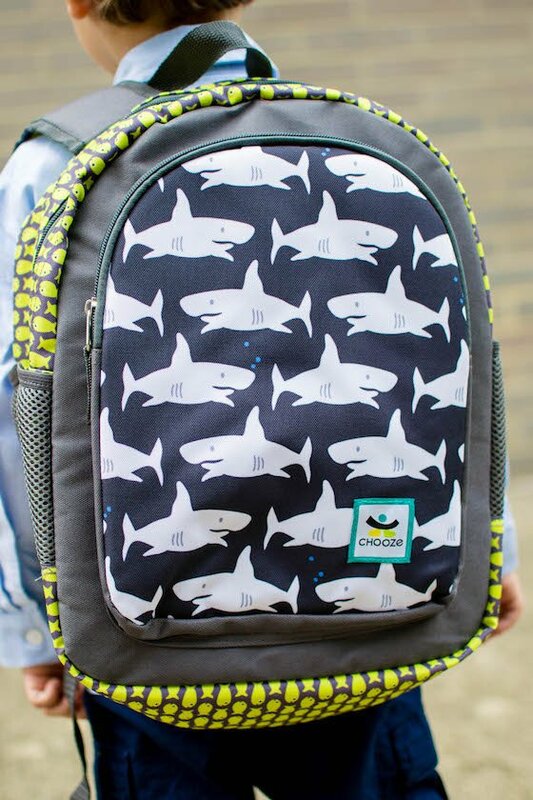 You just flip the straps over and the backpack is ready to go with identical zippers and pockets on both sides so that accessibility is not affected. 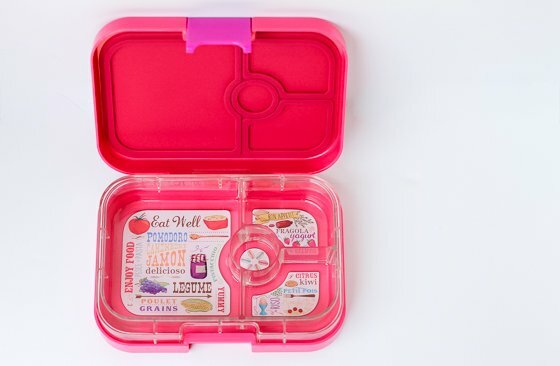 The lunchbox simply features one design on one side and one design on the other side. The Chomp design is so cool! 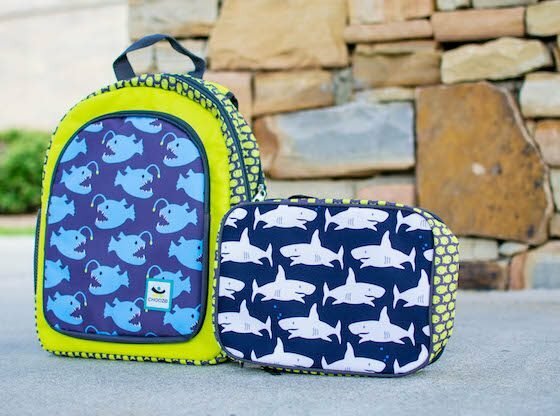 If your kid loves sea creatures, you need this lunchbox and backpack. One side features sharks and the other side features anglerfish (the freaky fish with a lightbulb on its head). The trim between the two main designs features little neon green fish. The neon green, sky blue, and dark grey colors will be loved by girls and boys. Inner and outer pockets with lots of room. The small size is still large enough to hold a folder. 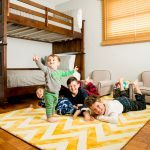 Chooze was created by a mom of three, and along with her husband, she continues to run this incredible company that offers shoes, clothing and accessories that bring out confidence and creativity in kids. They offer bright and exciting designs that kids adore. We love companies that give back and this is one of the many reasons we love Chooze! This lifestyle brand is on a mission to fight poverty, investing annual profits in anti-poverty programs. These programs are better than a regular charity. They create a poverty ending cycle that provides loans and training and education to women, empowering them to move out of poverty. When the loans are repaid, more women are able to receive help! Amazing, right? Chooze wants you to be happy with your purchase and they have a happiness guarantee. Just reach out to them if you have an issue and they will make it right. However, everything they make is so high quality and thoughtfully designed that you will be happy! You want to set your child up for success through the time that they are in school. Keeping them properly hydrated during the day is vital, and most schools now are suggesting that children bring water bottles for them to keep at their desk, as long as they are closable. And then, once lunch time rolls around, you want their hot food to remain hot, and the cool food to stay cold. Nobody wants warm yogurt for lunch. 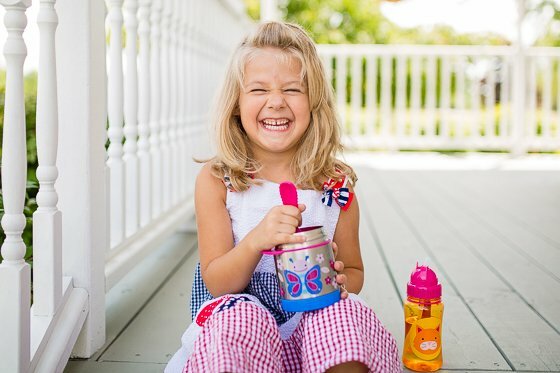 Send your child to school packing the Skip Hop Zoo Straw Bottle and the Skip Hop Zoo Insulated Food Jar. 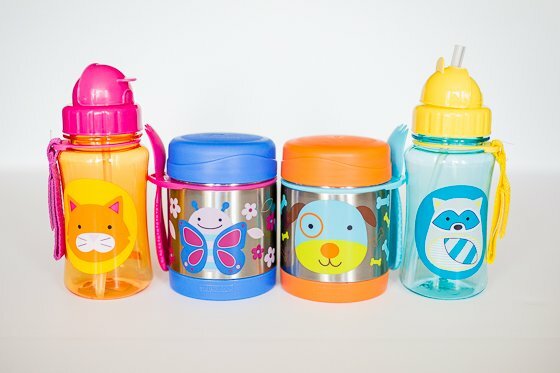 They will head out the door equipped with an easy-to-handle water bottle that promises to not leak if the lid is shut, as well as a cute zoo-themed matching food jar that will keep hot food warm for up to 7 hours and cold food cool for up to 5 hours, and also includes a cute spork that attaches to the bottle! Velcro grab strap is a handy addition to clip on to backpacks, lunch boxes, or anything! 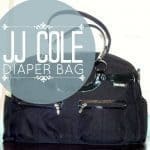 Skip Hop began in 2003, when a husband and wife team realized that their choices for diaper bags seemed limited to either a pink option or a blue one. Since then, they truly feel that there is no problem that they can’t solve with some hard work and creativity. 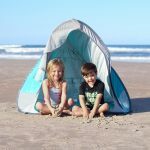 Their passion for developing new products truly shines through with every single item that Skip Hop makes, and they love to build and create special moments for you and your children. It’s what motivates them, and it’s what they are good at. 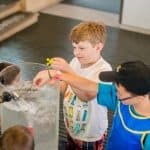 With all of the plastic character lunch boxes stacking the shelves at your local shops that your kids are begging you for, it might seem like a losing battle to try to get them to choose something unique and more importantly, non toxic, for the upcoming school year. 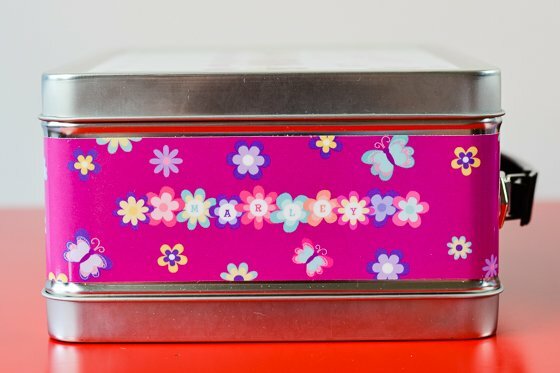 If you’re looking for a lunchbox that will stand out from the 56 plastic Frozen containers that all of your child’s friends will be bringing to school, look no further than I See Me!‘s line of personalized tin lunch boxes. Specializing in unique personalized items that inspire children, I See Me! 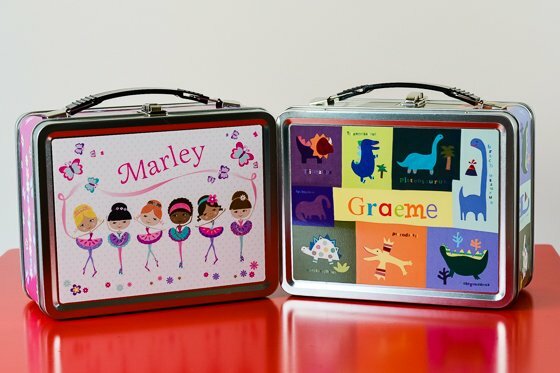 carries a line of tin, lead-free, non toxic lunch boxes that incorporate your child’s name into the design. 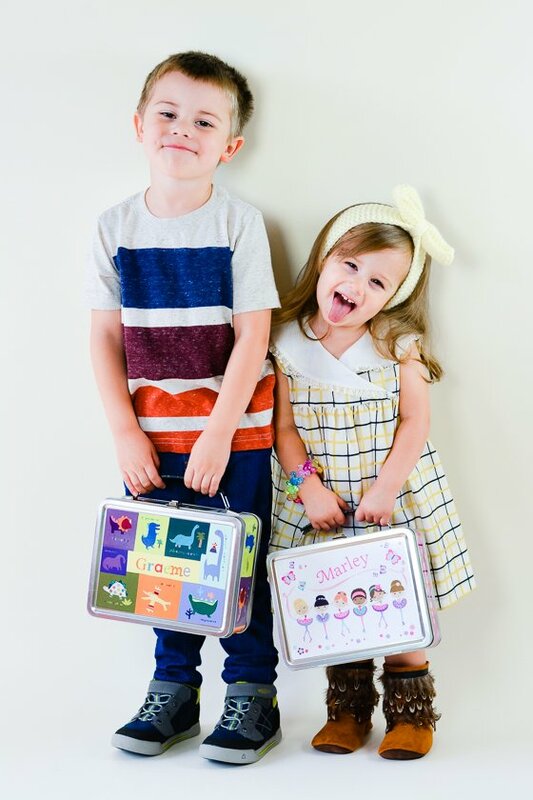 There’s a lunchbox for everyone, including: My Farm Friends, Dreamy Day, All-A-Flutter Butterflies, Outerspace, Prima Ballerinas, Off To School, Cars & Vehicles, Kick, Score, Run!, My Very Own Fairy Tale, Dino-Mite and In The Garden. 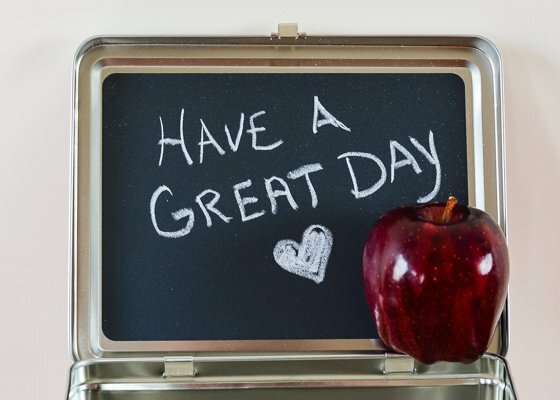 Each lunch box is made with a chalkboard on the inside of the lid, creating a fun and special place for parents to leave messages for their kids to find at lunchtime each day. After receiving a personalized book for their son in 1998, Maia and Allan Haag realized the need for more of its kind, but even more personalized and with better stories and illustrations. After a year of product development, I See Me! launched and they put their very first personalized book, “My Very Own Name”, on the market. Today, I See Me! 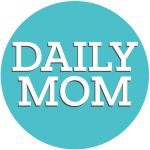 carries an entire line of personalized books, puzzles, lunch boxes, placemats, stickers, growth charts and more with special designs, themes and stories for every occasion in a child’s life. 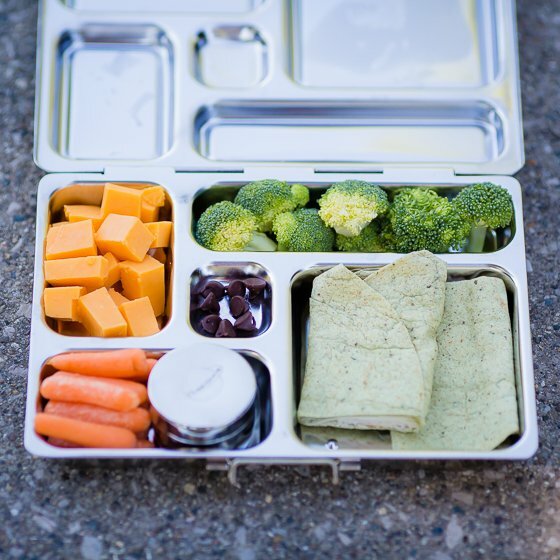 Preschool lunches should be fun, and so should your child’s lunch “box”. That’s where BUILT’s Big Apple Buddies Lunch Sack comes in. Your child will be so enamored by their newest lunch pal that you may find them giving it a hug. 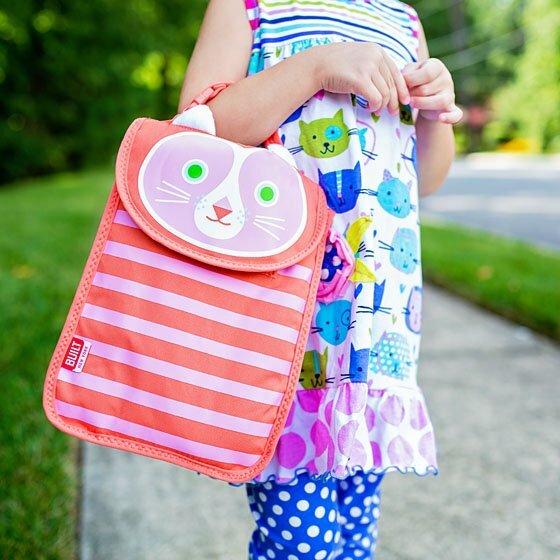 The Big Apple Buddies Lunch Sack carries cute to a whole new level. 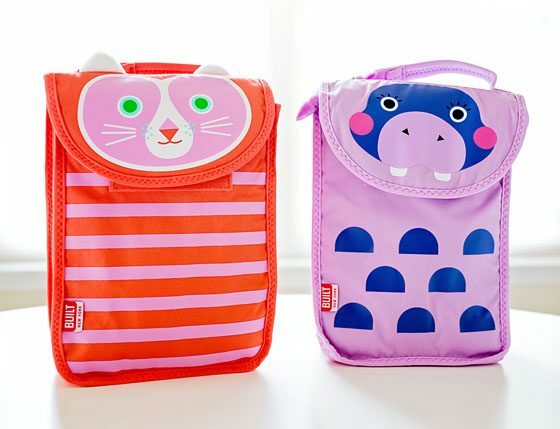 These adorable lunch sacks will quickly make lunch their favorite part of the day and they’ll look forward to characters such as Cornelia Cat or Hester Hippo joining them at school. 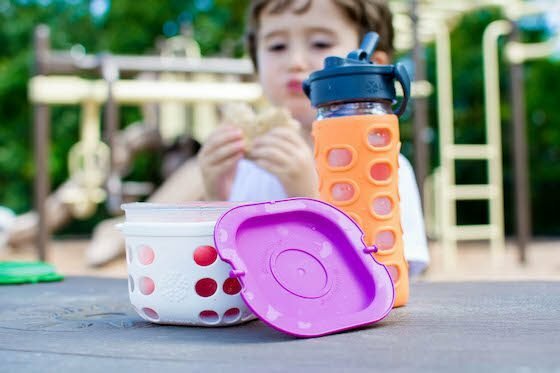 Durable, reusable, and easy to wipe clean, they’re also easy to attach to strollers, backpacks and book bags for a playful lunch on the go. 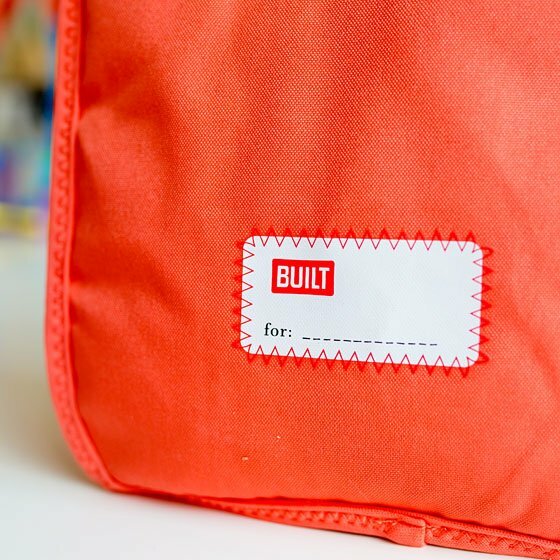 We particularly love that you can write your child’s name directly on the back of the bag. 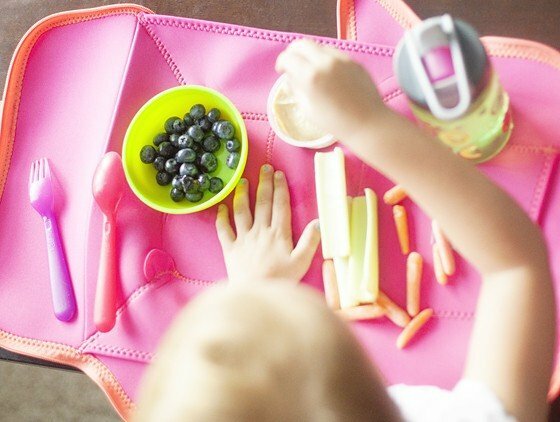 Another great option for taking lunch on-the-go is Built’s Convertible Placemat Lunch Bag. The unique design of this bag allows it to unzip into a placemat once the contents are removed! 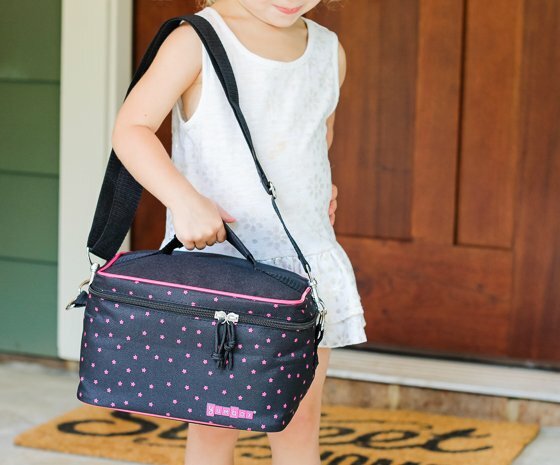 The convertible lunch bag is great for school, road trips, picnics, or any time you’re on the run. The stretchy neoprene material allows it to expand to fit most sized containers or beverages and includes an interior pocket for utensils and snacks. Once it’s unzipped, it can be laid out as a clean, safe surface to eat your lunch. Make school snack time extra easy this year by ditching the plastic baggies and breakable forks, and replacing those with eco-friendly, durable options. 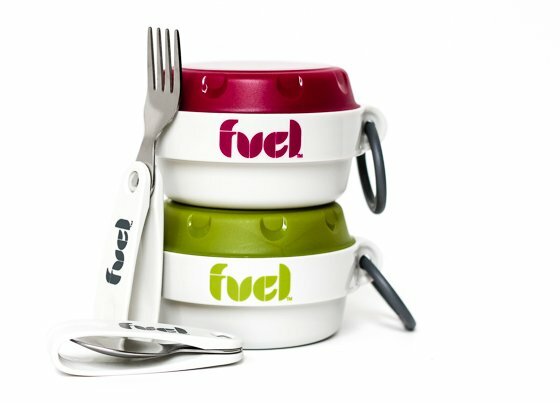 The Fuel line by Trudeau gives you everything you need for making lunchtime and snack times easy, yummy, and convenient. 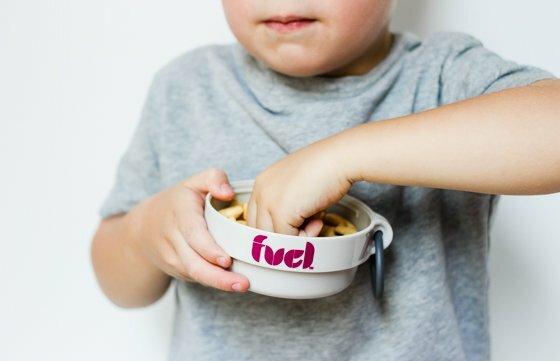 Pack your kiddos’s snack in Fuel’s Uno Snack Container and send them on their way with a no-crush, fresh food guarantee. 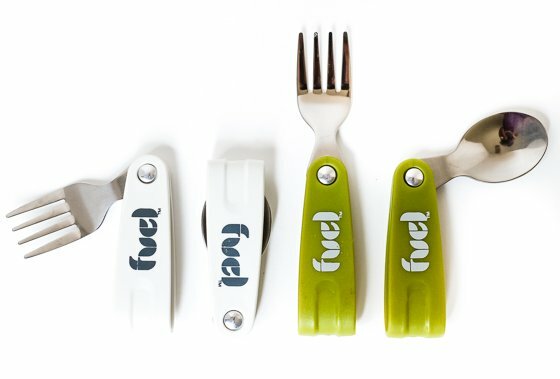 Add Fuel’s Foldable Cutlery Set to their lunchbox for a space saving and fun way to eat their pasta salad and yogurt. Having made their mark on the kitchen and housewares market since 1889, Trudeau has brought their family values and dedication to their consumers by offering innovative and simplistic, yet sophisticated products that make serving and making food and drink a joy. 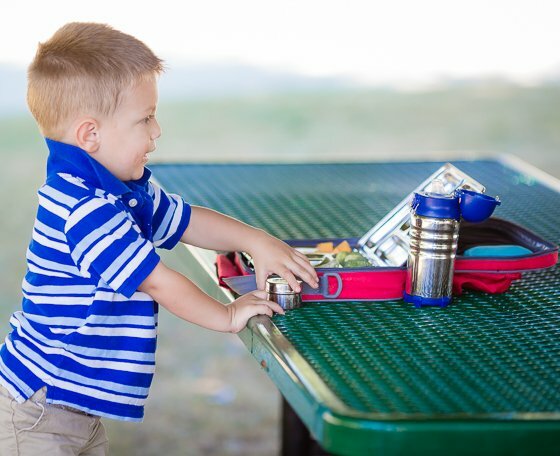 Keeping your child’s lunch at the right temperature at school is a big deal. Many lunch options need to stay cool in order to be safe for consumption, but traditional lunch box ice packs are often filled with toxic gel or end up leaking as they thaw. 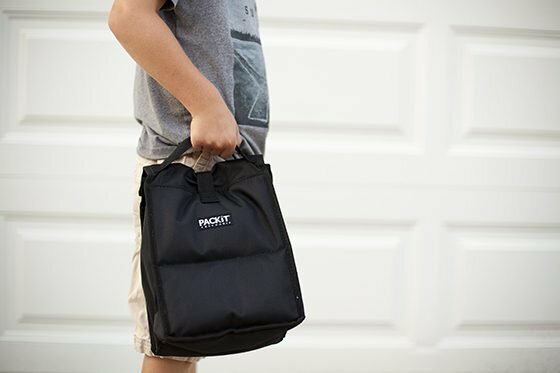 Packit offers a convenient solution: freezable bags with gel built right into the box, so you’ll never have to deal with ice packs again! The Freezable Classic Lunch Box has a top-load design that makes it perfect for lunch containers and bento boxes. The handle buckles onto backpacks and bags for convenience. 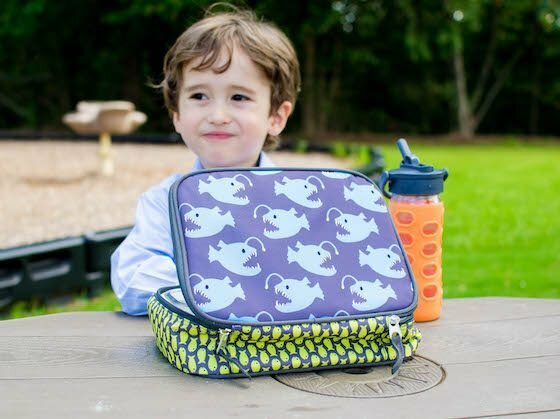 The Roll-top Freezable Lunch Bag is the original bag and is perfect for school, work or anywhere you need to take your lunch. If you’re looking for something a little roomier, try the Freezable Carryall Lunch Bag. 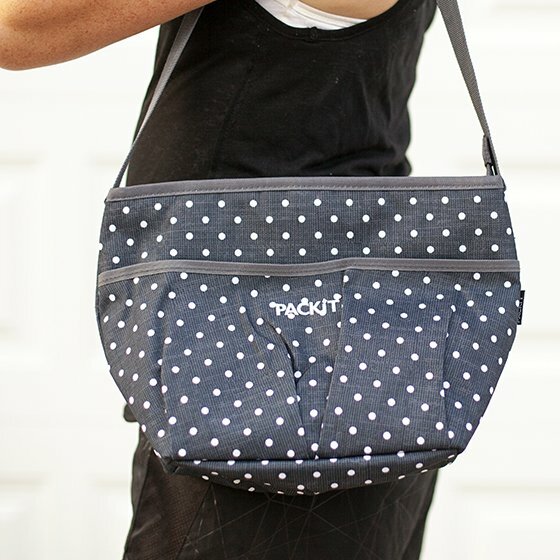 Available in three modern patterns, it zips shut and features a convenient, ergonomic shoulder strap. 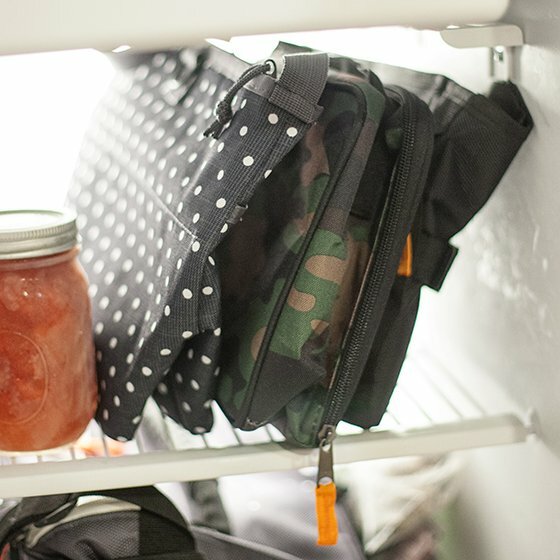 Melissa Kieling, a single mother of three, saw a desperate need for a lunch bag that would keep her children’s lunches cool and safe until lunchtime without the freezer packs that were often toxic and inconvenient. In 2009, she launched the Personal Cooler, a foldable, freezable lunch bag that could keep food and drinks cool up to 10 hours with no ice packs needed. 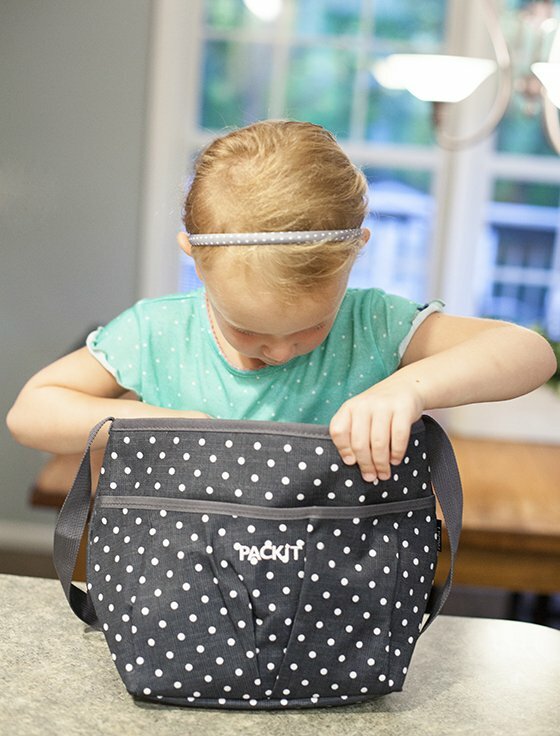 Since inventing her freezable lunch bag, Melissa has expanded the PackIt line from lunch coolers to bags for wine, picnics, grocery, baby bottles and more. 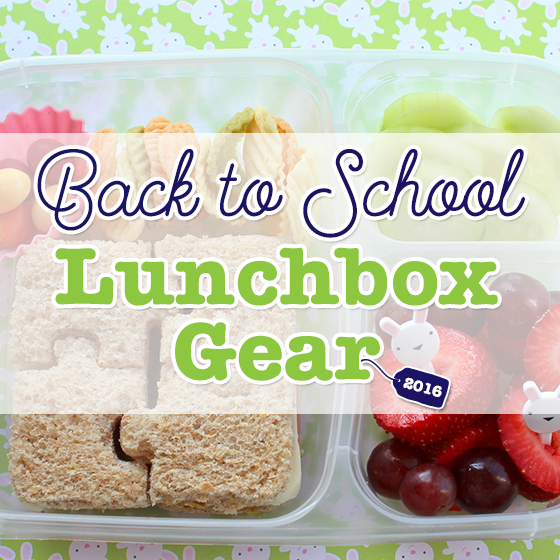 Whether you pack an old school peanut butter and jelly or put together an artistic bento box style lunch, the right gear will make all the difference. You can choose lunchboxes, water bottles and accessories that are easy to use, eco-friendly and will last for years to come. Pick the lunchtime gear that will best fit your needs and the task of packing lunch will be simplified. For lots of lunch and snack ideas and all the back to school information and tips you could ever want, check out our Supreme Back to School Guide.